In a perfect world, Best Supporting Actor nominee Jared Leto would be taking you to the Oscars this weekend. Alas, he's not. But, he is doing the next best thing, which is escorting his beautiful mother, Constance, to the ceremony. Doesn't that just make you crush on him even more? 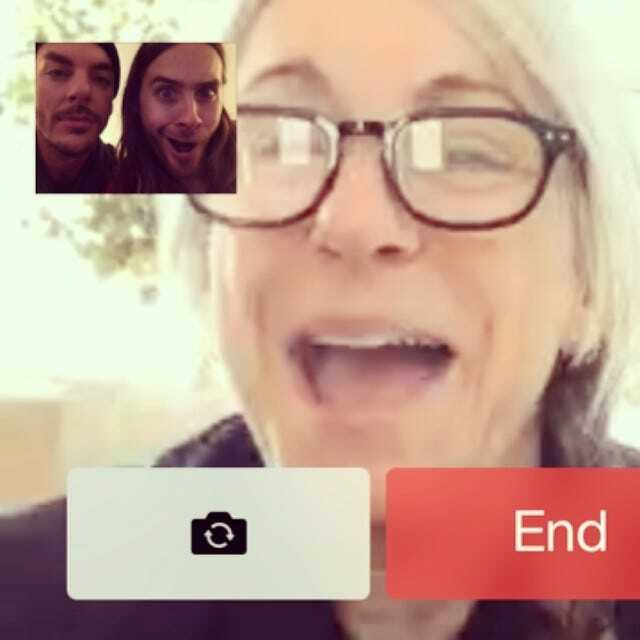 To add to the adorableness, the handsome Dallas Buyers Club star shared a photo of him (with brother Shannon Leto) asking his mom to be his Oscars date over FaceTime. Her giddy reaction is priceless, as is Leto's goofy face. We can't wait to see Constance rocking some designer gown on the red carpet. What can we say? This leading lady deserves the best.